This information is general in nature and is not intended to be a recommendation for your specific circumstances. 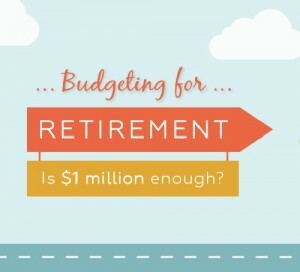 According to the Association of Superannuation Funds of Australia (ASFA), a retired individual needs around $42,000 a year and a couple $58,000 for their lifestyle to include expenses such as entertainment and leisure activities, good clothes, a reasonable car, private health insurance and occasional holidays. The Federal Government Age Pension is worth only half that at just over $22,000 a year for individuals and $33,000 for couples. The Australian Bureau of Statistics reports that for the year 2011-2012, half of all single retirees had income of less than $21,700 per annum, while half of all retiree couples were living on income of less than $28,260. It’s little surprise then that around 1.8 million people currently rely on the Age Pension as their main source of retirement income. Despite needing more superannuation savings than men because they live four years longer on average, women are generally disadvantaged by comparatively lower lifetime earnings. Historical data shows that females currently retire with around 40 percent less super than male retirees, which makes super saving even more important for women. Want to retire comfortably? Get there sooner with a customised budget plan to boost your nest egg. Call MyBudget today on 1300 300 922.